Submitted by Migrate Wizard on 2014-07-12 12:56. Level Range This is intended to be playable for 1st level characters. Works best with a party at 1st, but I've played it through as a 1st level wizard by myself. Races Humans work the best, but any race can play. Visit web site for more info. Alignments This adventure will make most sense if you play it like a good guy. But there are no actual restrictions. 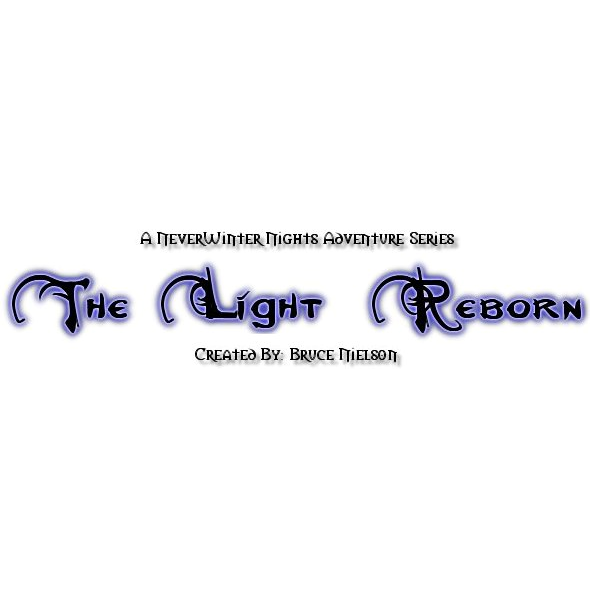 This is Part 1 of the The Light Reborn (TLR) Series. However, all TLR modules are also stand alone adventures. This was a starter module for me and is not my best work, so if you aren't playing the whole series, I recommend TLR - The Children, which is the Hall of Fame module in the series. A shadow has fallen across the world of Harthe. The arrival of a man claiming to be a Veranite, the lost race of kings blessed by the Creator of Harthe with divine power, causes a stir in the country of Anvid. Could he really be a Veranite? Does he serve the Light, as he says, or is he a deceiver? Samuel gathers heroes across the land to do the will of the Virtues -- the spirits of good that he claims to talk to. You are one such hero. But the power of the Dark does not stand still. Who can resist it? 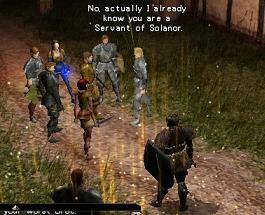 - lots of walking in dungeons with respawning orcs or undead. - when the henchie dies (and it happens often), you'll have to walk back the whole way to the temple area (count around 5 minutes walking and avoiding respawning monsters if you're in a dungeon) just to get him back. No raise dead, no bleeding system. And no recall stone either. The author tells us it's not his best work and he got a Hall of Fame for another mod in this series. Too bad he didn't get back to this one to give it a bit of updating or polish.